World Water Monitoring Day™ is an international education and outreach program that builds public awareness and involvement in protecting water resources around the world by engaging citizens to conduct basic monitoring of their local water bodies. 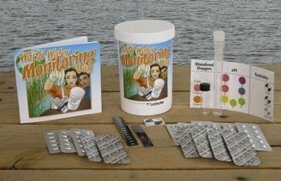 Go to www.worldwatermonitoringday.org for more information. If you have any questions about World Water Monitoring Day or ordering kits, please contact the Public Communications and Outreach Committee World Water Monitoring Day lead.